Las Vegas personal injury lawyer Timothy Titolo has dealt with numerous inadequate security cases. Every property owner is expected to maintain their buildings and grounds ot ensure that all tenants, customers, and visitors are not at risk from injury. Slip and fall, in United States tort law, is a claim or case based on a person slipping (or tripping) and falling. It is a tort and is based on a claim that the property owner was negligent in allowing some dangerous condition to exist that caused the slip or fall. Las Vegas personal injury lawyer Timothy Titolo focuses on back, neck, and spinal cord injury law. 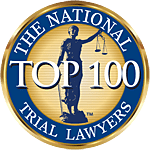 Tim Titolo has amassed extensive experience both in practice as a personal injury attorney, as well as an instructor, regularly lecturing and writing on the intricacies of litigating spinal injury cases. At some point in their lives, most people experience a car or motor vehicle accident. The number of car accidents increases every year and involves millions of Americans. Even though it may be a common occurrence, an accident is unanticipated, and the impact and resulting injuries are life changing, even if only for a short time. Accidents involving large trucks are usually more devastating than any other accidents on the road. Any truck weighing over 10,000 pounds is considered “large.” Semis, buses, tractor-trailers and 18-wheelers carrying heavy loads easily weigh 10,000 pounds and routinely up to 80,000 pounds. The weather in Las Vegas makes motorcycle seasons and accidents more frequent than in less temperate climates. Biomechanical forces on the body are more severe in a motorcycle collision than those in comparable car accidents. Death can be the horrible outcome of personal injury. Whether it is brain injury, spine injury, neck injury, nerve damage, burns, or other serious injury, life drastically changes when we lose a loved one. Titolo Law Office is committed to providing exceptional representation to catastrophic injury victims so that the individual and their family can continue to lead normal lives.